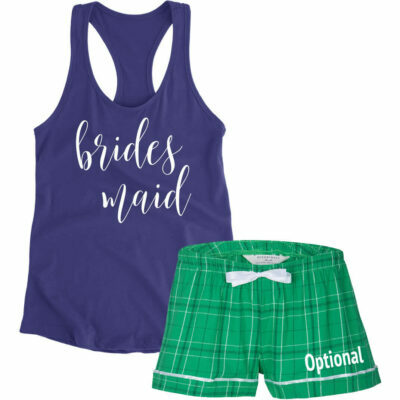 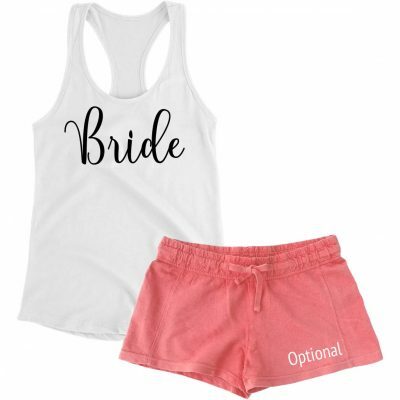 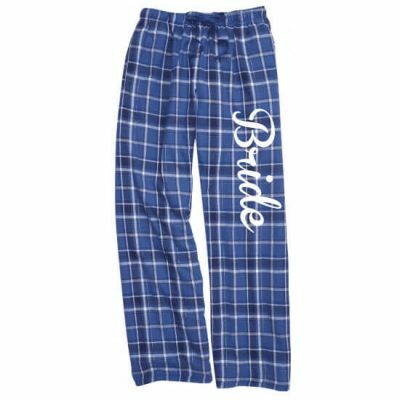 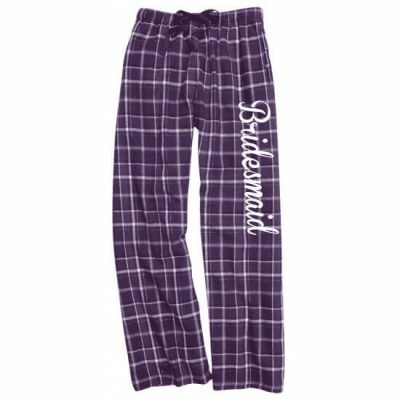 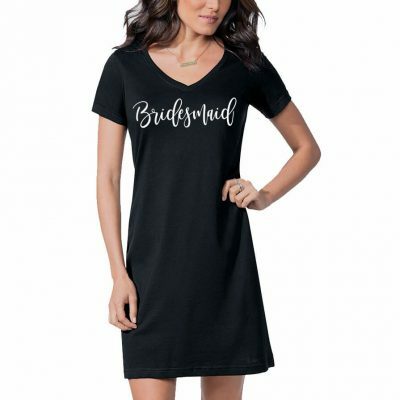 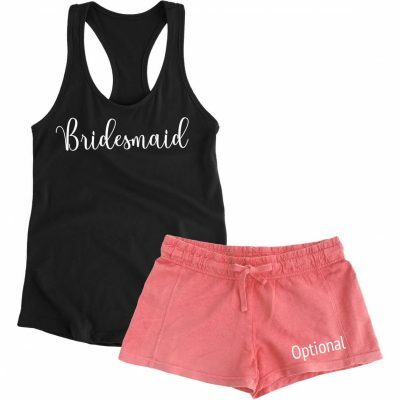 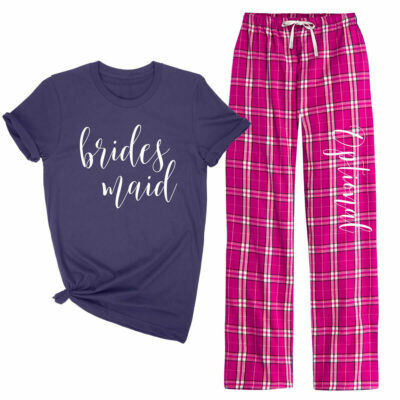 All Bridesmaid pajamas can be changed to "Maid of Honor", "Matron of Honor", "Mother of the Bride" and many more wording choices. 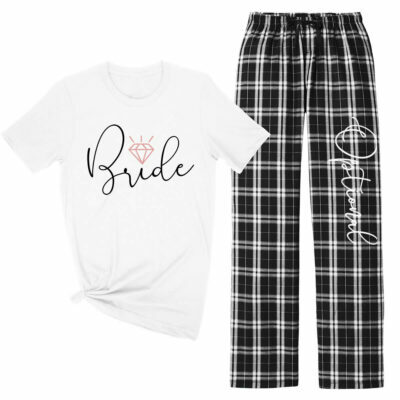 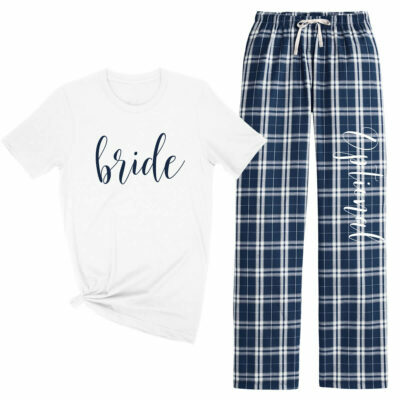 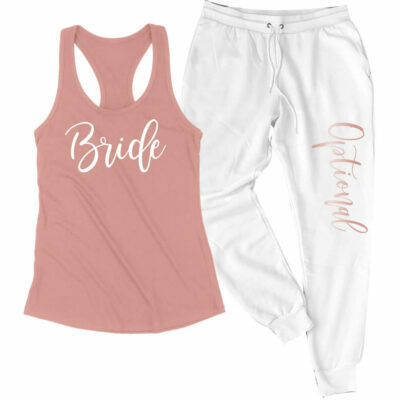 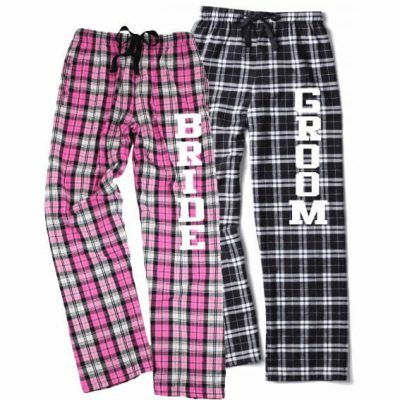 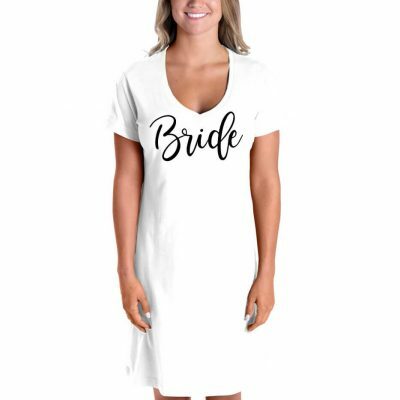 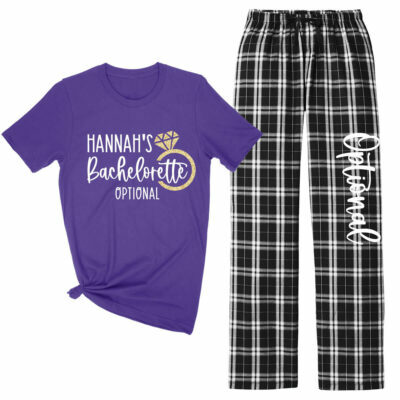 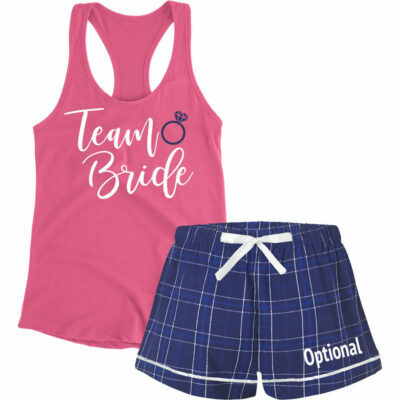 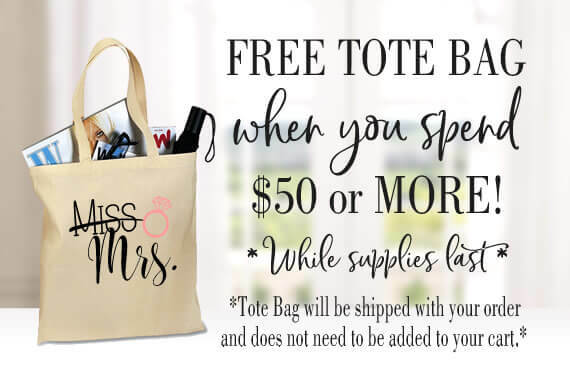 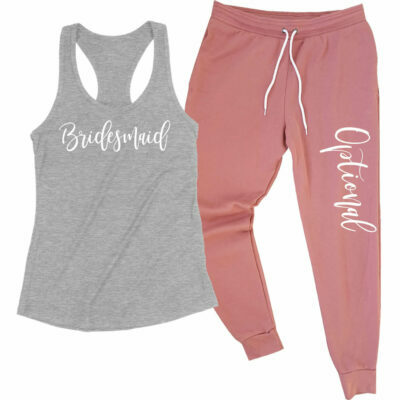 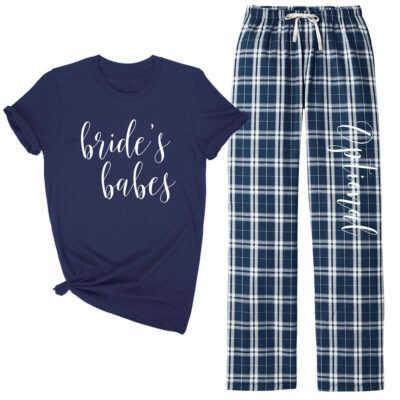 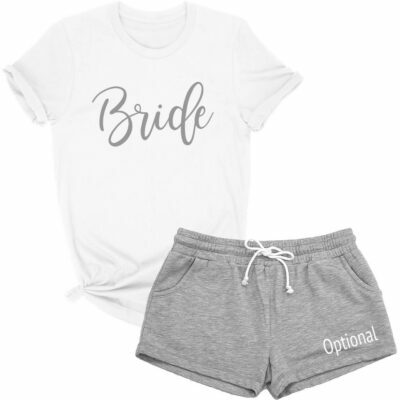 Shop our huge selection of bride pajamas and bridesmaid pajamas that are perfect for bachelorette parties and the night before the wedding. 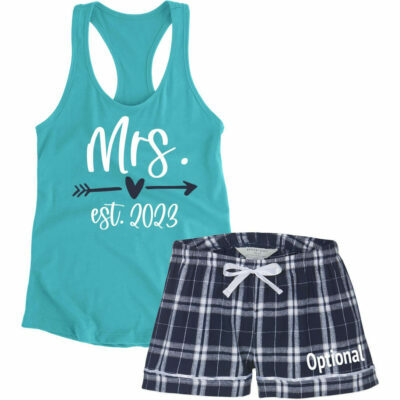 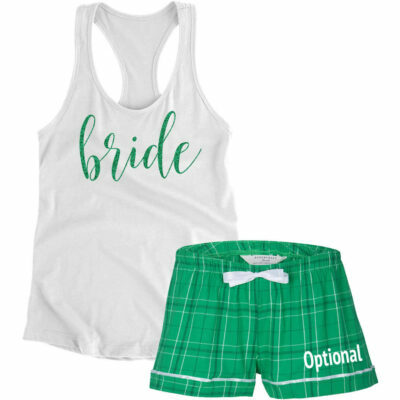 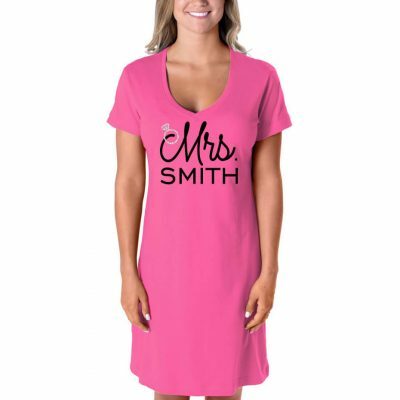 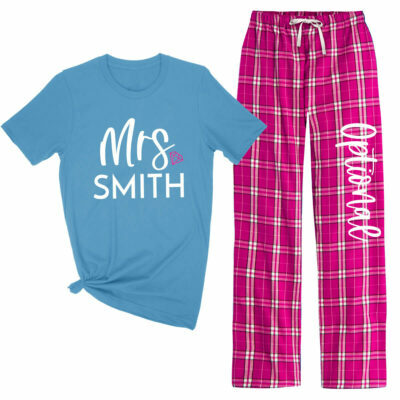 Custom pajamas are also great for the bride to wear on her honeymoon. 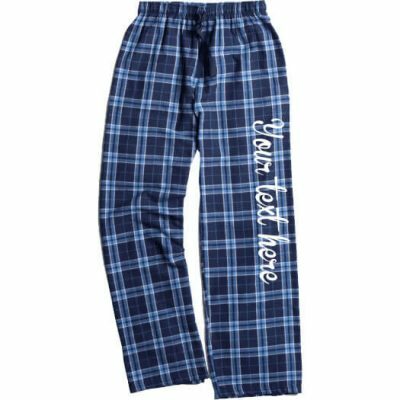 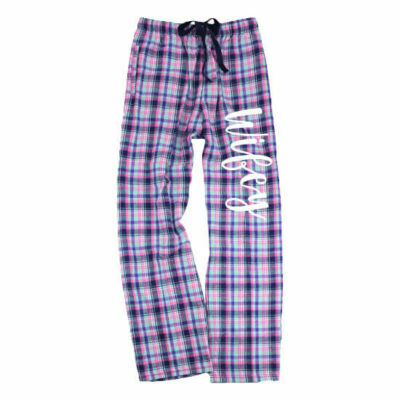 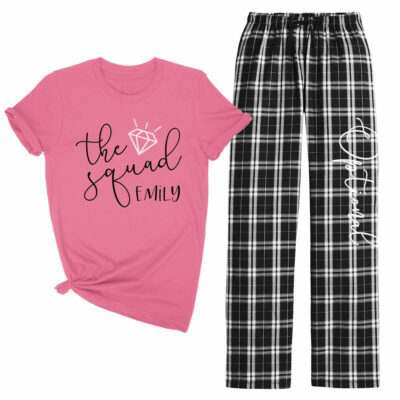 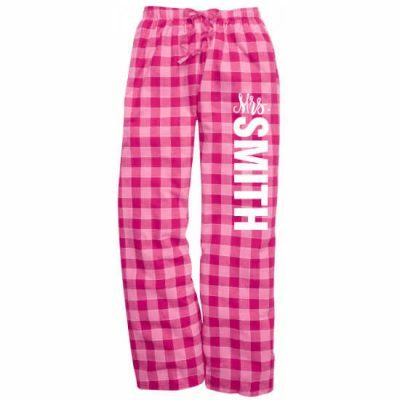 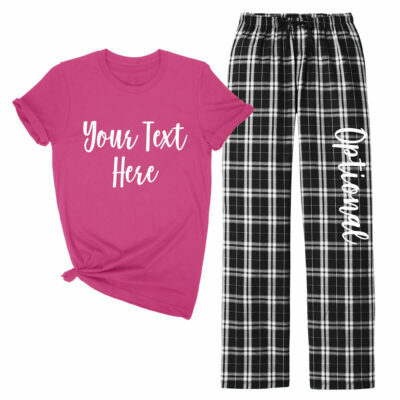 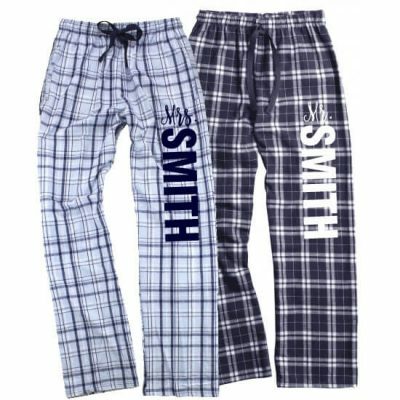 We offer glitter, metallic, rhinestone and solid designs on a variety of PJ sets, including boxers, shorts and flannel pants. 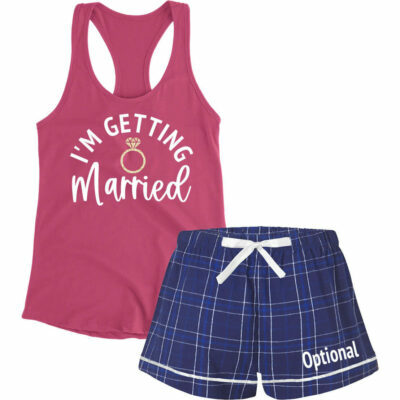 We also offer custom sleep shirts and adult onesies.